Aeroflot has launched joint flights between Moscow and Buenos Aires, as part of its code-share agreement with Aerolineas Argentinas. 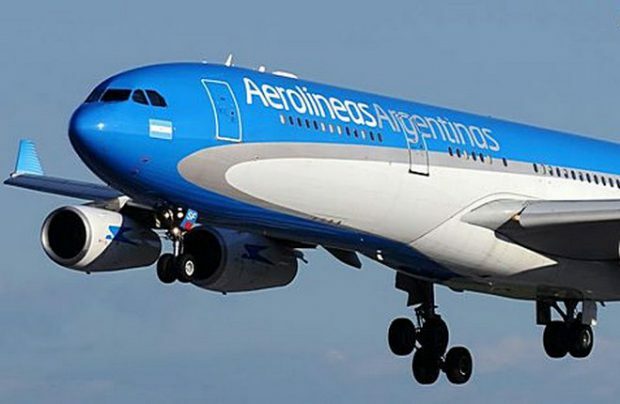 Flights to the capital and most populous city of Argentina will be operated daily, with a transfer in Madrid. Aeroflot will operate the leg between Moscow and Madrid utilising narrow-bodied Airbus A320/A321 and Boeing 737 aircraft, while Aerolineas Argentinas will operate the Madrid-Buenos Aires sector using Airbus A330 and A340 wide-bodies. The two flag carriers, both SkyTeam members, plan to continue working together by expanding their joint route network with flight pairings between Moscow and Buenos Aires transiting other European and American cities. In the meantime, with this month’s 2018 FIFA world cup kick-off, Russia’s flag carrier is to operate additional flights between host cities Volgograd-Nizhny Novgorod, Sochi-Kazan, Volgograd-Kazan, Yekaterinburg-Kazan and Kaliningrad-Kazan. In addition to increasing flight frequencies, Aeroflot will operate higher-capacity aircraft on the busiest routes. In another development, from June five to 29, the Russian flag carrier is adding 11 additional flights between Moscow and New York. To help the travelling public, from today (June 1) Aeroflot has opened a direct line call centre especially for football fans, which will offer assistance in seven languages. The dedicated fan line will be open until 20 July 2018, when the tournament finishes. Information will be provided in Russian, English, Chinese, Italian, Spanish, German and French. Aeroflot, a member of the SkyTeam global airline alliance, currently serves 146 destinations in 52 countries. In 2017, Russia’s flag carrier flew 32.8 million passengers (50.1 million for the Aeroflot Group, including subsidiaries).